It is very important feature to pack many channels into one texture in customable way. 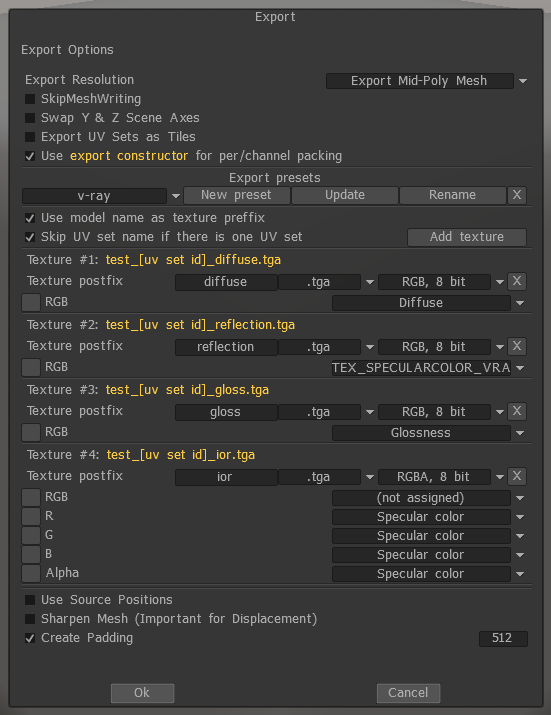 It will help to adopt 3D-Coat’s texture export for any render or game engine. Look v-ray preset as example. There will be more presets for convenience.